Medicare Prescription Drug Benefit Program provides prescription drug coverage to eligible participants. Up until the implementation of Medicare Part D in 2006, Medicare did not cover the cost of self-administered prescription drugs. Since the gap in coverage was closed, Medicare Part D now has nearly 44 million enrollees. By taking a closer look, you can become better prepared for the next open enrollment period. Medicare Part D is a federal government program obtained through the private insurance marketplace. As an optional program, participants may elect to pay insurance premiums in exchange for self-administered prescription drugs. Self-administered drugs includes those prescribed by a physician on an outpatient basis. Such drugs are commonly purchased at local pharmacies and administered within the home. Medicare Part D does not include professionally administered drugs which are covered under Medicare Part B. How Do You Purchase a Medicare Part D Plan? Eligibility must first be met before Medicare Part D may be purchased. Eligibility is granted once an individual has purchased Medicare Part A or B, or both. Once enrolled, there are two ways to purchase a Medicare Part D plan. The first purchasing method is by joining a stand-alone prescription drug plan, or PDP. The second, and slightly less popular option is by joining a public Part C health plan, also known as a Medicare Advantage Plan. A Part C health plan not only includes the same benefits as Medicare Part D, but also covers all hospital and medical services covered under Part A and B. Only self-administered prescription drugs are covered under Medicare Part D. Drugs include those patients pick-up and administer on their own, including a few self-injectable medicines. Drugs administered under the care of a physician are covered under Medicare Part B. 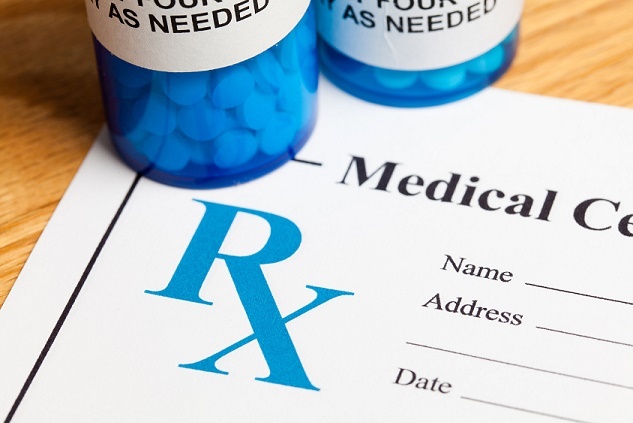 While most drugs are indeed covered under Medicare Part B and D, it is important to take note of which prescription drugs may not be covered at all. Are Brand Name Drugs Covered? Certain brand name medications may be included in your Medicare Part D plan if not available in generic form. If a generic equivalent exists, the brand name variation would be excluded from coverage. However, many plans do offer the ability to include brand name prescription drugs. In doing so, participants in plans including brand name drugs will be charged a higher premium and incur higher co-pays. Premium– The monthly premium varies widely from one plan to the next. Very basic plans may have no monthly premium associated with them. Richer plans, on the other hand, can become extremely expensive. On average, however, it is estimated the average monthly premium in 2018 will be about $33. Copays and Coinsurance – Most plans include a cost-sharing mechanism where beneficiaries may pay either a flat fee or fixed percentage of the prescription cost. Deductibles– Insurers may not impose an annual deductible greater than $405 (2018). However, for an additional premium, lower deductibles are made available by most companies. The Coverage Gap – Also known as the “donut hole”, beneficiaries who spend $3,750 within the year will be required to pay 44% of generic drugs and 35% of brand name drugs. $5k Cap – Once a participant has incurred $5,000 in total costs, no more than 5% will be paid for any additional prescriptions for the remainder of the year. Open enrollment begins October 15thand closes on December 7th. Choosing a plan that is right for you requires a little estimating. We can help you review your prescription costs from the prior year and compare them to the various plans available. If prescription use is low, higher deductible and co-pay plans may be more cost-effective in the long run. However, if you have or expect high prescription costs, higher premiums may be offset by the reduced out-of-pocket cost. What if I Miss The Enrollment Period? Although the enrollment window closes on December 7th, most Medicare beneficiaries who do not enroll in time are still able to do so. If coverage wasn’t provided through another program, such as an employer or the Veterans Administration, individuals may enroll after the enrollment period. However, the monthly premium will be subjected to a premium penalty. Medicare Part D continues to provide millions of Americans with a cost-effective way to pay for self-administered prescription medications. Becoming informed about the coverage options available to you before the enrollment period will help in participating in a plan just right for you and your pocketbook.